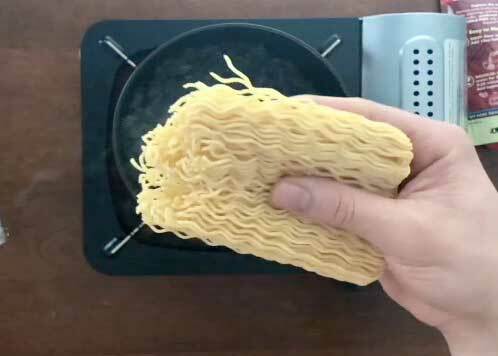 Get the Ramen Bar Experience at Home! Hakubaku ramen Shoyu and Tonkotsu kits are now selling in North America. Ramen is sweeping the U.S. and Hakubaku has the authentic restaurant-fresh flavors that customers demand. 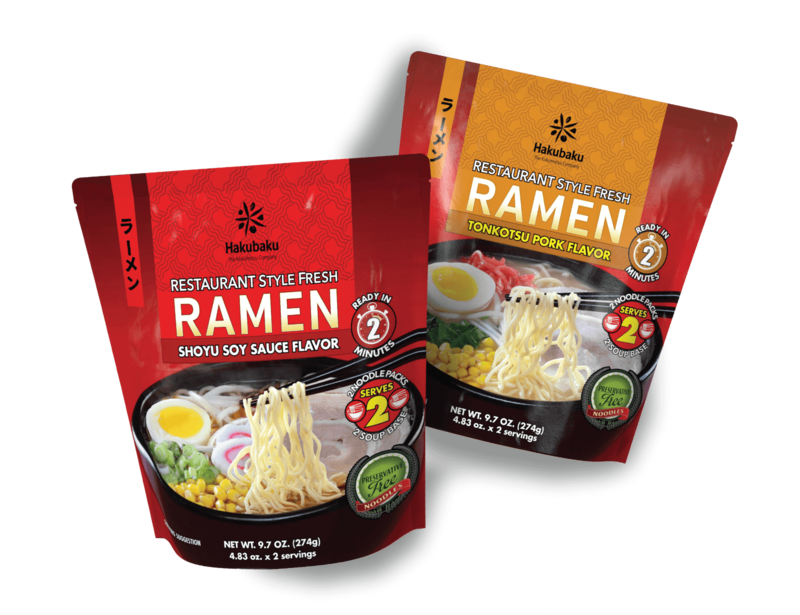 Hakubaku FreshLock Noodle Method keeps the noodle soft – not hard or fried – like other instant ramen. No additives, fillers or preservatives. 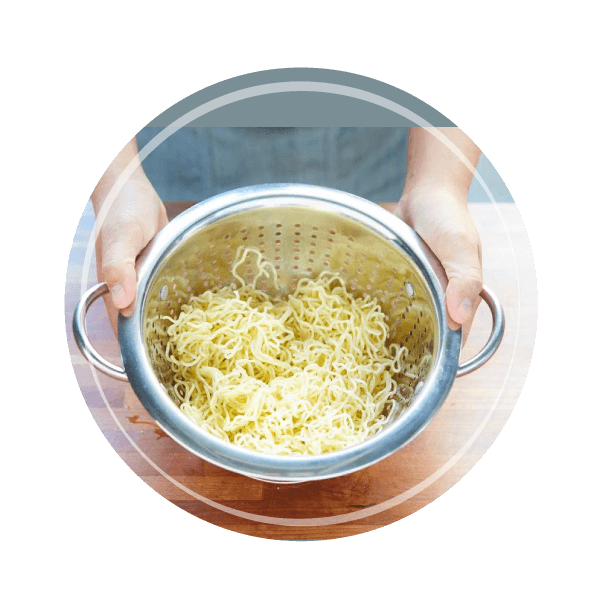 Fresh noodles that you can use anywhere- no refrigeration needed. True ramen experience is in the bag. Harmony, balance, flavor and freshness. These are the key elements of ramen that make it so tasty. We capture the fun of being at a local ramen bar in Japan and give you the same exciting experience to enjoy at home! Our savory MSG-free soup bases are flavorful and balance well with the toppings in your bowl. Harmony between hand-selected fresh ingredients and our focus on quality makes our ramen stand out. 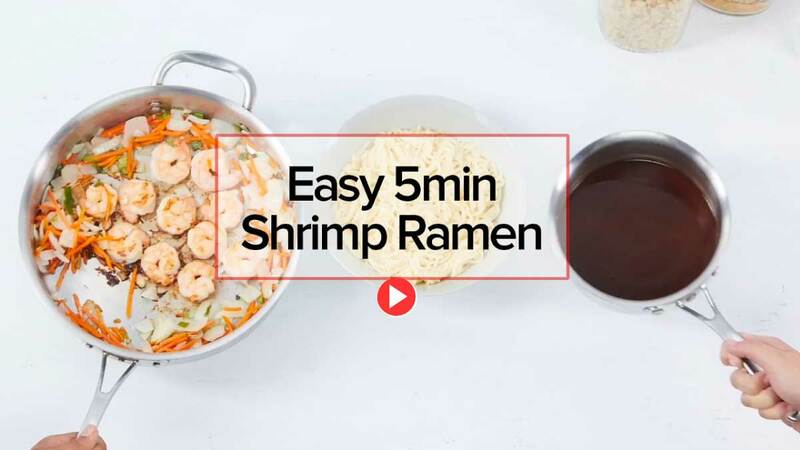 The finest grains, seasonings, artisan spices and flavorful stock make all the difference between an average bowl of ramen and an exceptional bowl. Hakubaku ramen noodles are made in Japan in a region known for its water and wheat. Our traditional recipe calls for nothing but the best wheat for a chewy ramen noodle. Cook Hakubaku ramen noodles 2:00min for hard and 2:30min for soft and chewy. Our noodles balance out the soup concentrate perfectly for that restaurant fresh experience at home! 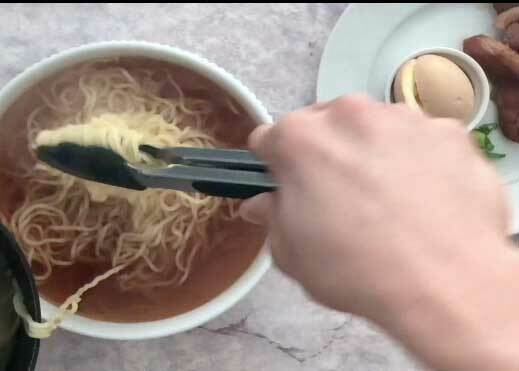 Hakubaku Shoyu and Tonkotsu ramen kits do not have ANY added MSG like other instant noodle brands. Our flavor comes from using the best ingredients and WET soup concentrate for that ramen bar experience. Quick and easy as 1-2-3! Soft, fresh noodles right out of the bag ready to use! Soup concentrate- NOT a DRY SPICE PACK! Authentic Japanese taste at home! Bring it all together and enjoy! Fresh restaurant style taste at home. Balance: Bamboo shoots, bean sprouts or corn can add a lightness to the soups balance. Add a touch of pickled ginger for savoriness. 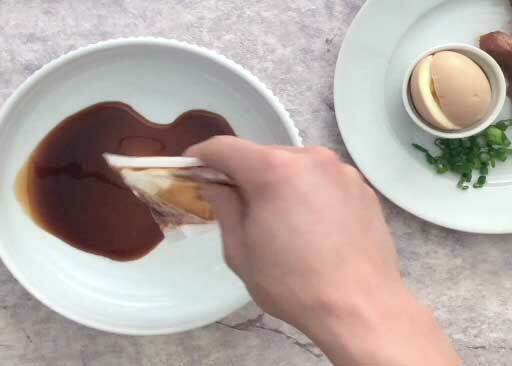 Fish Cake : Narutomaki is typically steamed ﬁsh cake that adds ﬂavor and color. Traditional Chasu pork, boiled shrimp or imitation crab works too! Scallions : diced and sliced balances pork or meat ﬂavor. Spinach can also be used. Tell us and we will connect with you on a special offer. What's your favorite ramen flavor? Want CONTEST notifications and FREE OFFERS to your inbox? SURE YOU DO! Sign me up for the newsletter!